Are U.S. Ground Troops in the Middle East Inevitable? On September 23 2014, Professor Raymond Tanter was on Bloomberg TV. 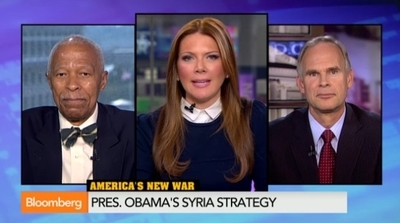 Discussing the U.S. battle against the Islamic State military group in Syria with Trish Regan on "Street Smart." US Boots On Ground unnecessary for Obama to Succeed if Arab States Keep Iran from Iraq & Help Kurds.